I pink it might be summer…. At least I’m pretty sure it was summer …we swam in the sea and used sunscreen for the first two days of this week…..but right now it’s raining heavily on my wetsuit that I left outside to dry!! 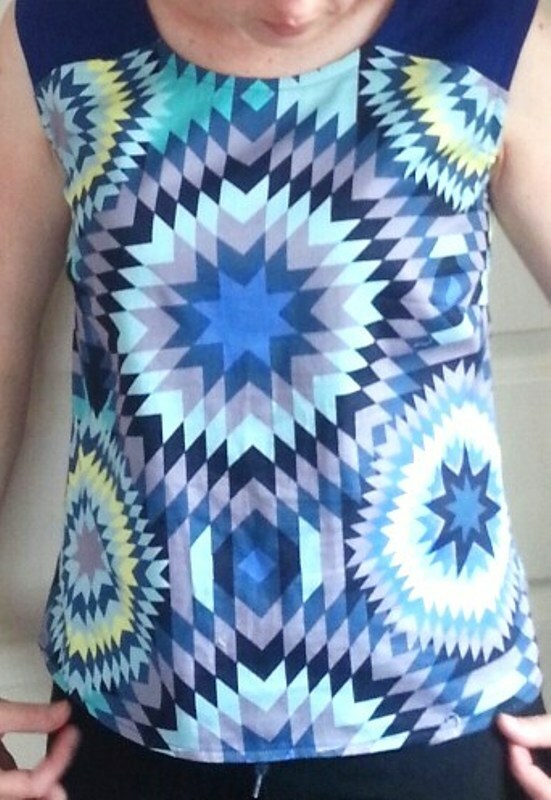 Made using Simplicity 2599 – I also used the same pattern here and here. 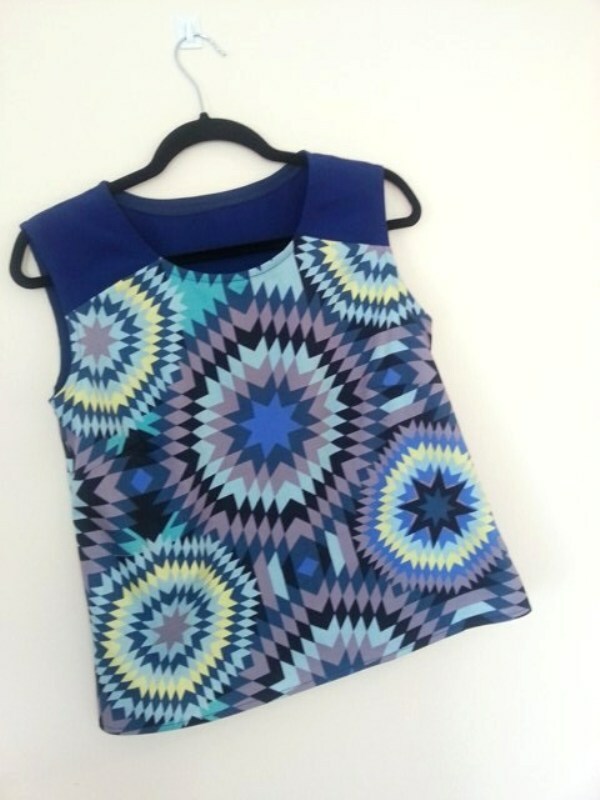 On my first version of this pattern I straightened the shoulder slope to match my shoulders, and it’s now my favourite pattern for a quick make. from the bust down. 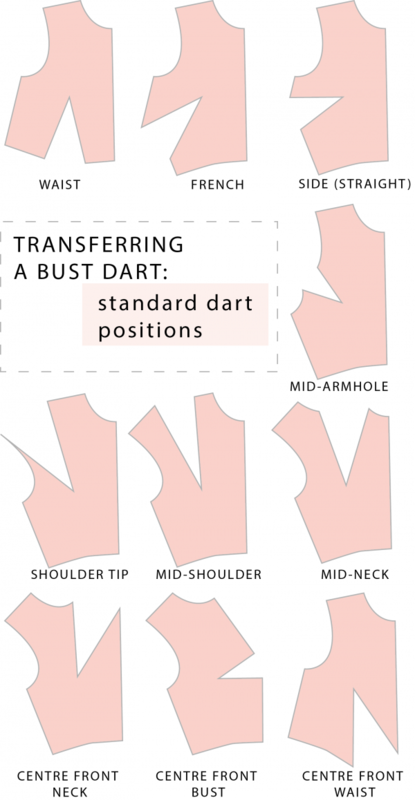 There is a useful explanation of rotating a dart on Megan Nielsen’s blog . 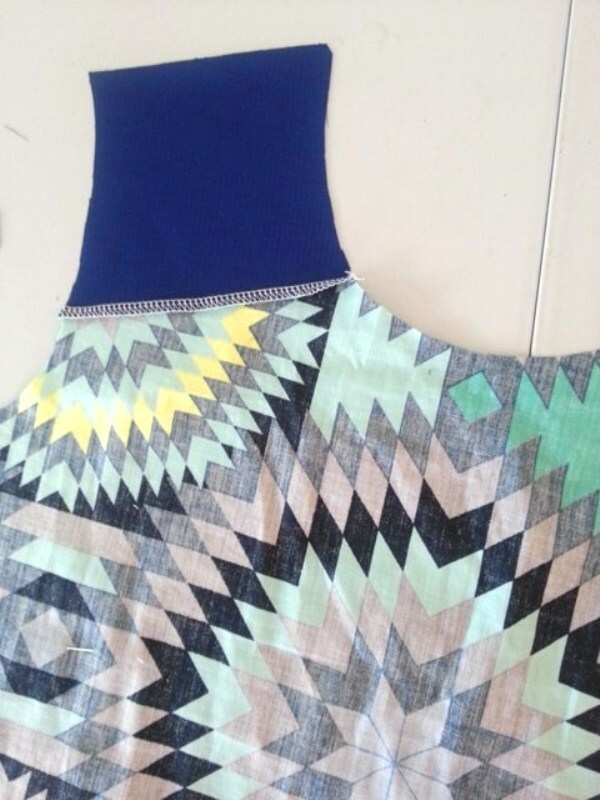 The fabric is a very lightweight cotton that was cut from an old dress that didn’t fit anymore. 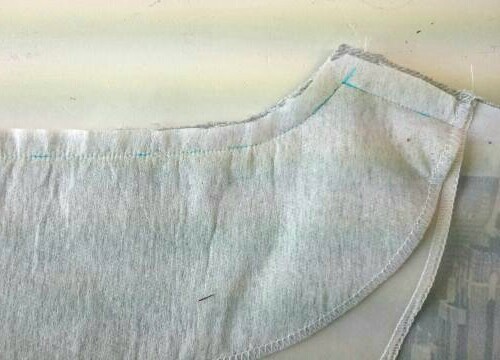 The armholes and neck edge are finished with bias strips and the side seams are french seamed. It’s good to finally have some sewing to show. 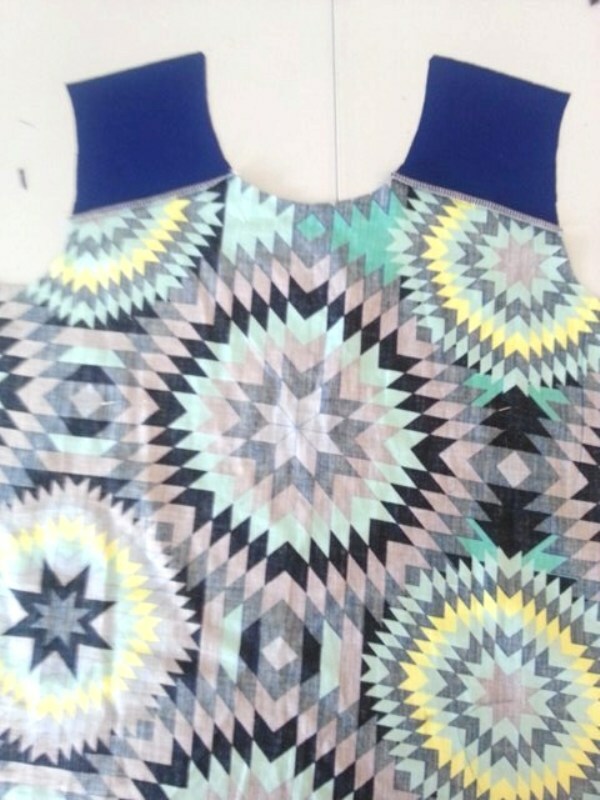 I’ve also pulled out a few UFO’s to finish… does anyone remember this dress? After seeing a lovely orange version made up on Catherine Daze’s blog, I went back to my blue version – and now it’s almost done , so fingers crossed that I can get outside on a dry day for some pictures! 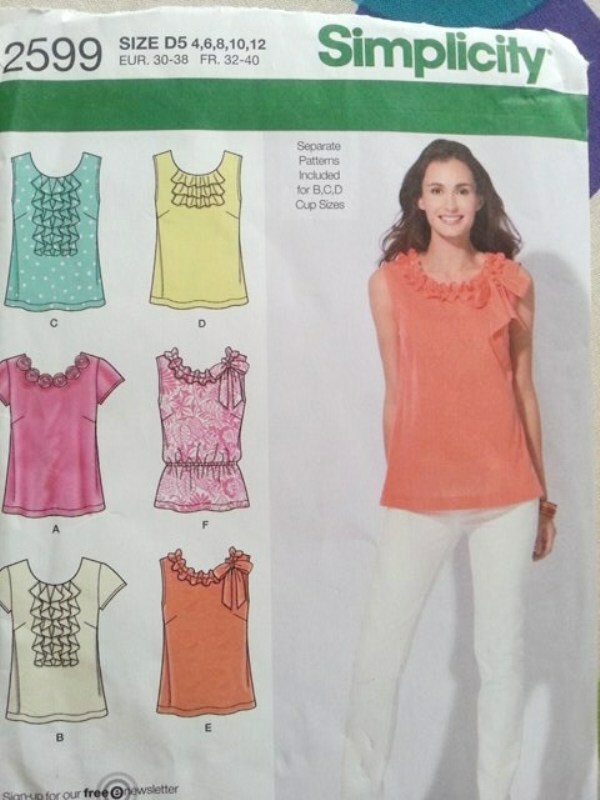 Simplicity top 2599 – And an alternative way to sew a neck-facing. 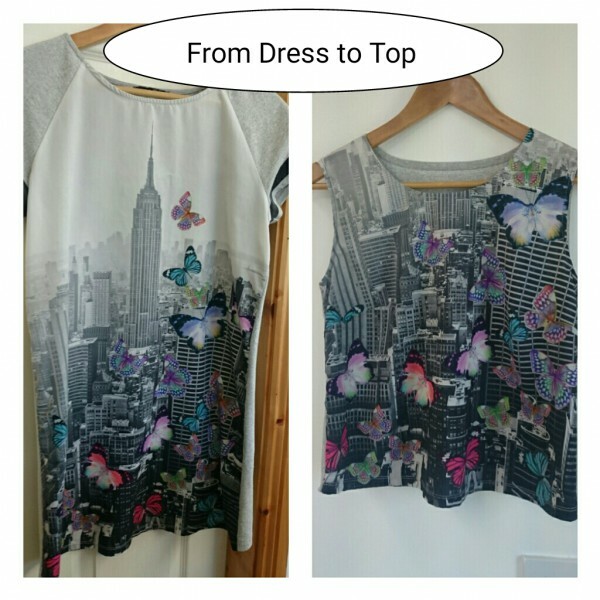 The dress on the above left wasn’t being worn for a couple of reasons….. the plain fabric at the top was almost see-through and just looked odd no matter what I wore. Having such a pale colour next to my face didn’t do me any favours either! 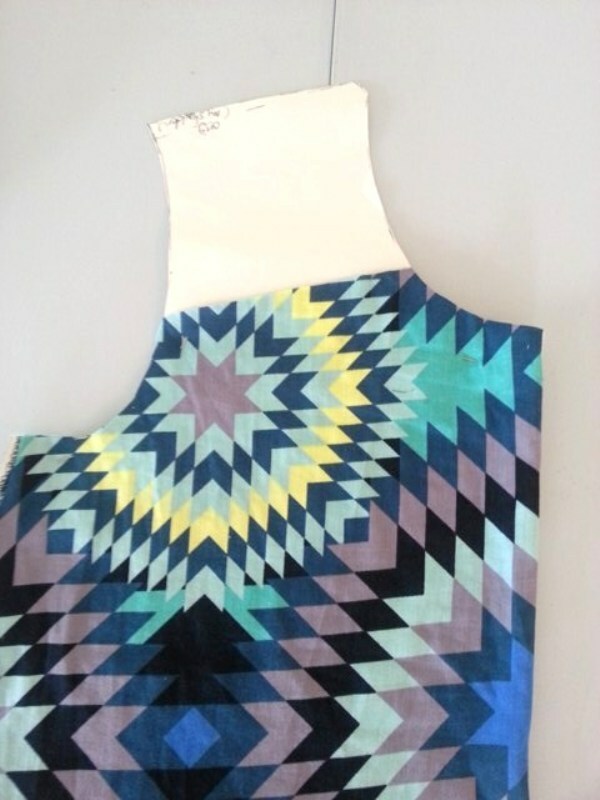 I’ve used this pattern three times before – and all versions were made from the refashion pile. 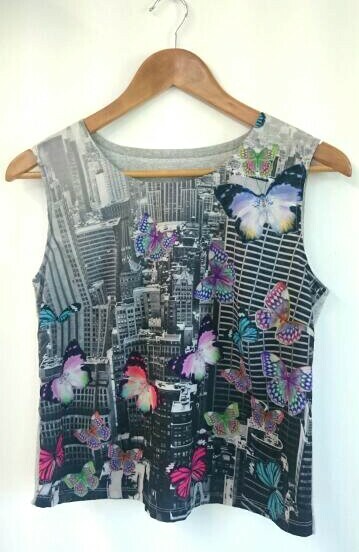 This one was also made from an old dress. 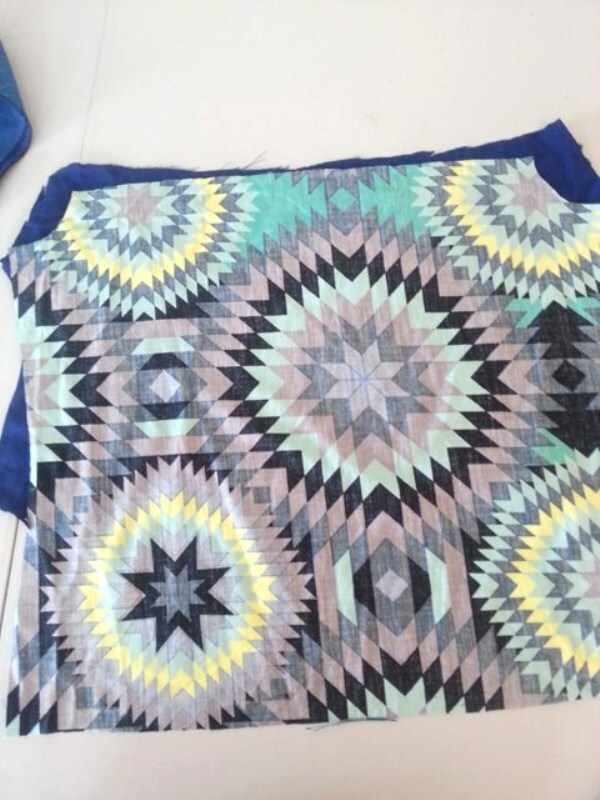 It’s a great woven t-shirt pattern to have on hand. It comes with different cup sizes and various frills, (none of which I’ve never used). I like that it has bust shaping but is loosely fitted at the waist. 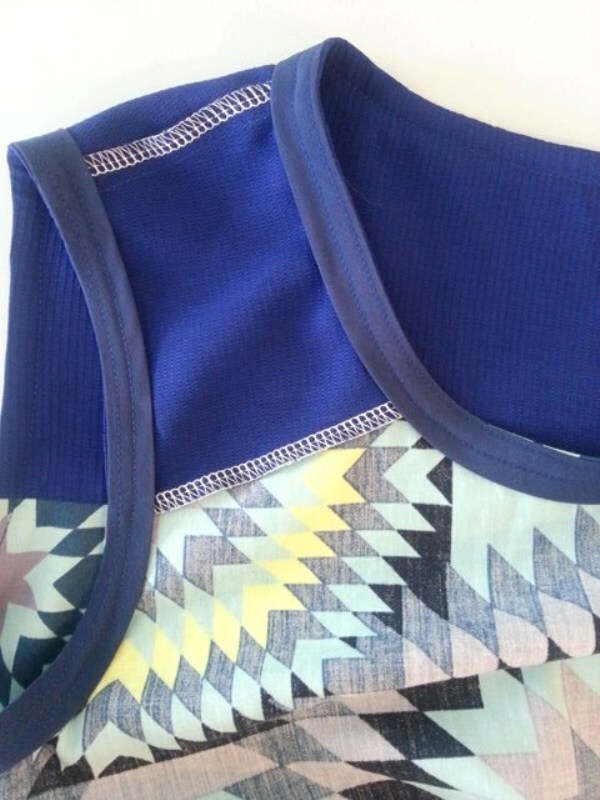 The back of the top is a light sweat-shirting fabric that has a little give to it, making it easy to put on without an opening at the back neck. 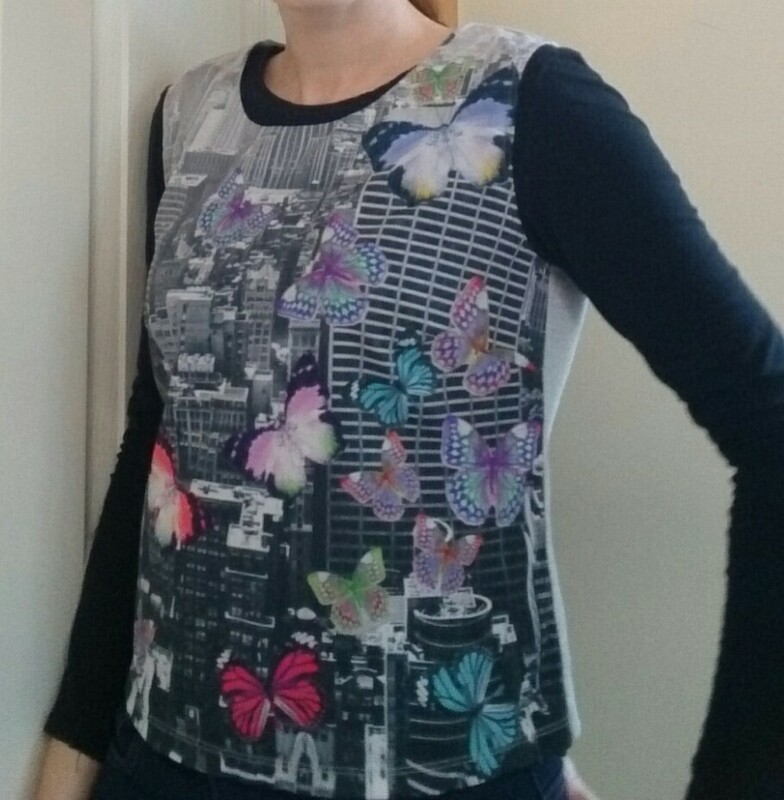 I finished the neckline with a facing that was attached a little differently to the pattern directions. 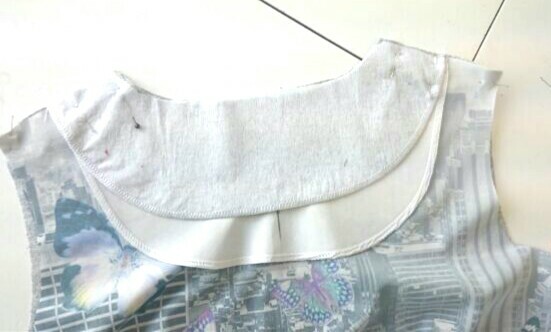 Firstly, I attached just the front neck facing to the front, right sides together, trimmed, flipped it to the inside and pressed it. Then I stitched the front to the back, at the shoulder seams ( not pictured) , This caught the front facing onto the shoulders. Before trimming and turning it through. 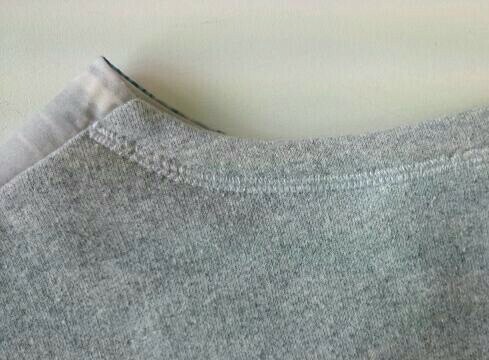 Below is a close up of the inside at the shoulder seam. Sewing it this way keeps the facing secure at the shoulder line, and its a change from the usual order of sewing. Keep in mind that the shoulder seams are all pressed towards the back, so this only works on fabric that isn’t too bulky. 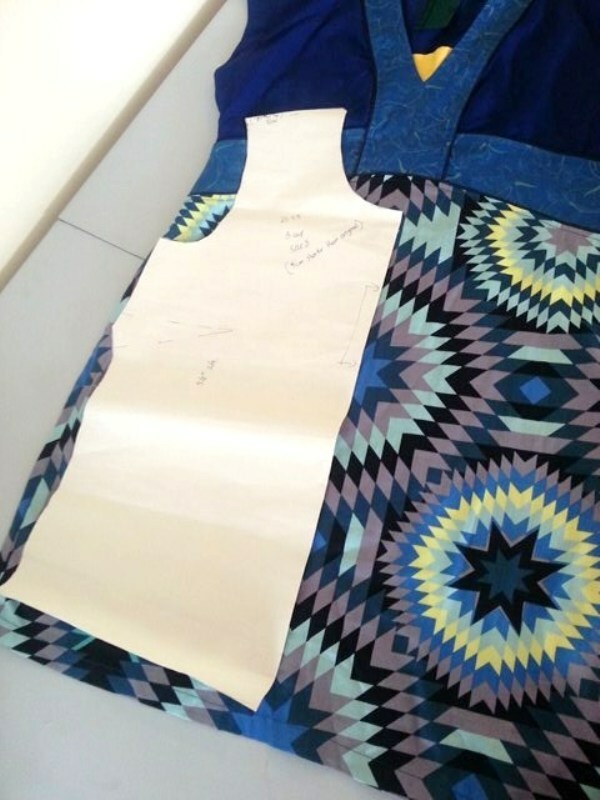 The armholes are finished with strips of bias-cut lining fabric, and the armholes are topstitched. 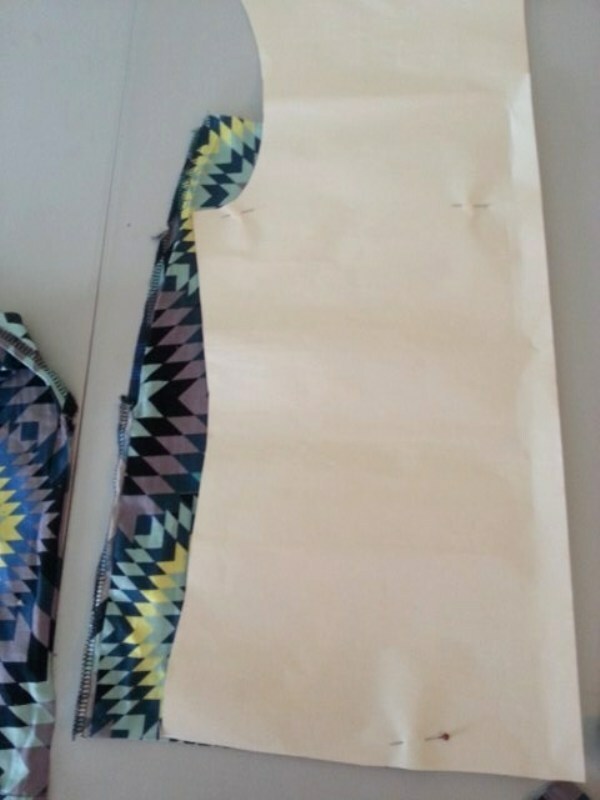 Lastly the side seams and hem are sewn, and then it’s ready to wear ! 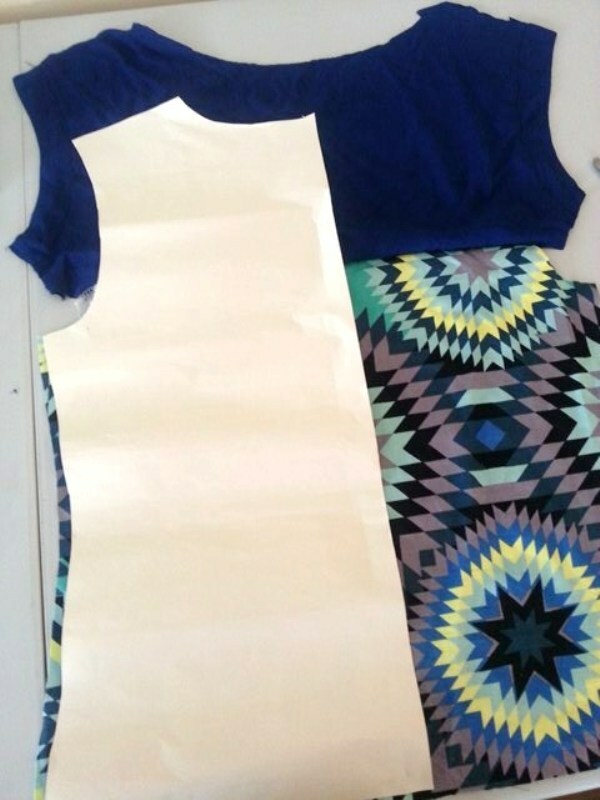 ** just a little note if you plan to make this** – I cut mine about 5cm shorter than the pattern as I found it was a bit too long for my taste. 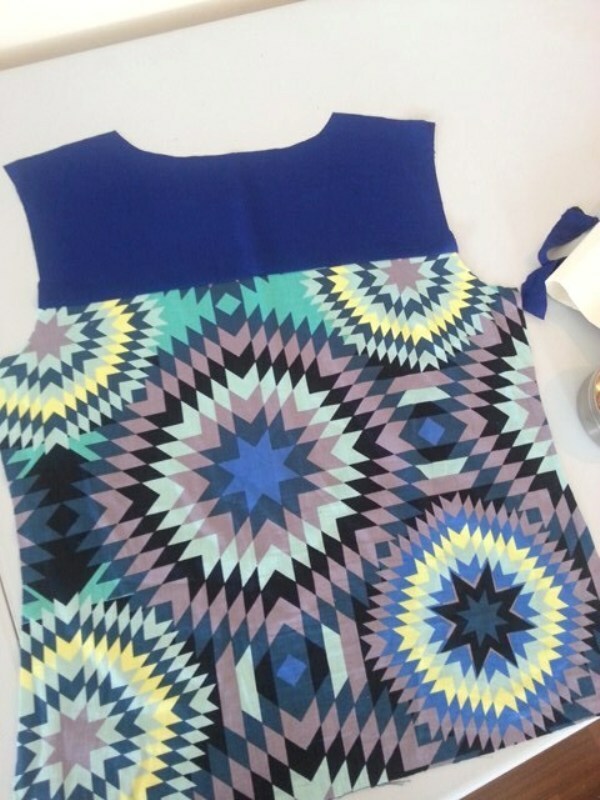 It was clear that the top would extend into the other panels on the dress – but the waist section was a heavier fabric that had piping so I wasn’t too keen to use it. 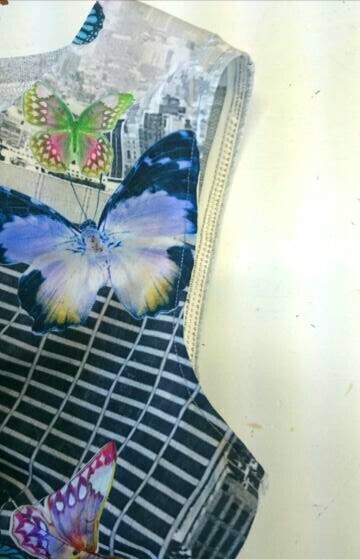 Instead I decided to patch together the pieces of the dress that I wanted to use. 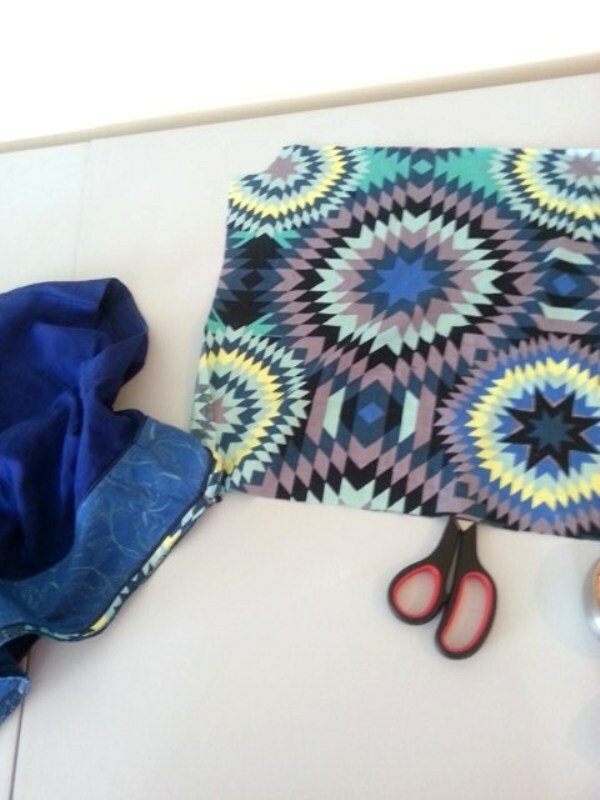 and avoid using the piped waistband piece. 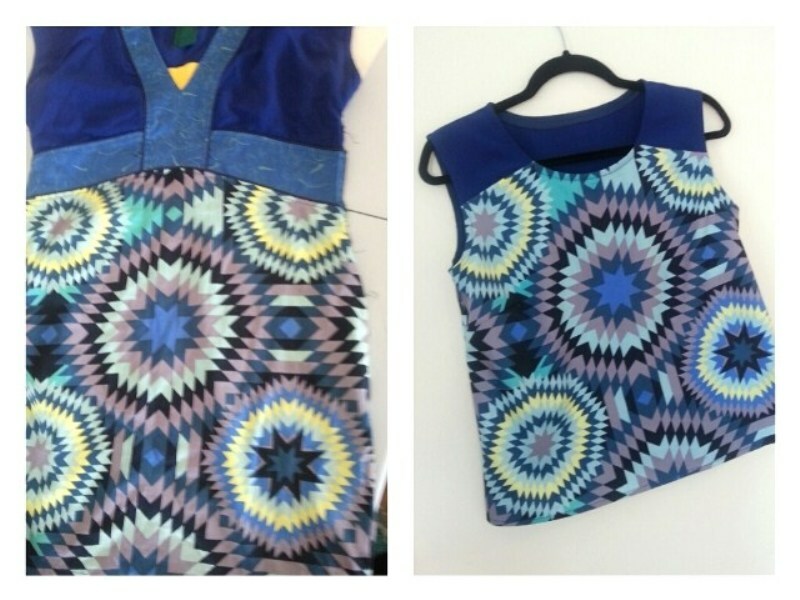 It came together quickly and here’s the finished top! 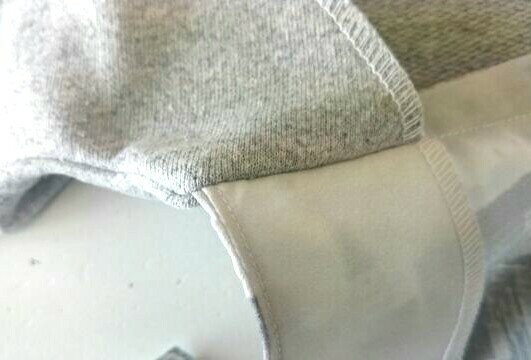 How to shorten a jacket cuff...by not shortening a jacket cuff! Great British Sewing Bee S5 ep1 – a wiggle or a wobble? 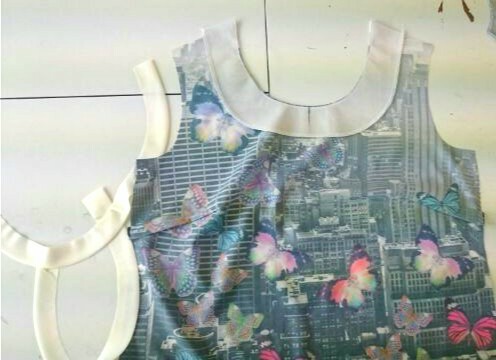 Pj sewing , sewing for dolls & Saving time & fabric!